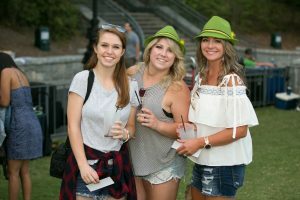 On Friday, October 5, 2018, partygoers can dust off their dirndls and lederhosen for Oktoberfest presented by Park Tavern, A Social Mess and Sierra Nevada at the Legacy Fountain in Piedmont Park. 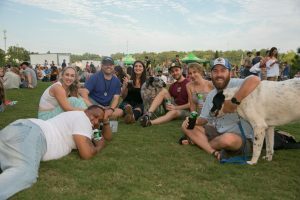 Benefiting the Piedmont Park Conservancy, revelers can clink their beer steins while enjoying a friendly competition of corn hole, a beer mug stamina contest, a beer pong contest and more. 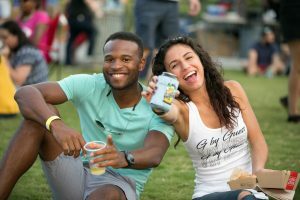 Brew lovers can enjoy a range of ice-cold beers courtesy of Sierra Nevada, Woodbridge wines, and Cutwater Fugu Vodka, Bacardi, el Jimador Tequila and Jack Daniel’s cocktails. The Arby’s Food Truck will also be at the event selling special test kitchen offerings throughout the evening. Featuring live music and DJ performances throughout the day, Sucker Punch will hype up the crowd with favorite hard rocking hits from the 90s and early 2000s including Green Day, Weezer, Red Hot Chili Peppers and more. Filling the headliner spot, JohnBoy and SurroundSound will continue to electrify partygoers until the beer stops flowing. DJ NAKD will also be spinning top hits in between the high energy music performances. General admission tickets are available for $20. VIP tickets are $40 and include early entry into the event, Sierra Nevada tastings from 6:00 p.m. to 10:00 p.m., German Beer Hall tables and seating, and five tickets to be used on beer/cocktails/or pretzels. To purchase tickets or for more information, visit www.parktavern.com.